Does Your Onboarding Process Fit Your Company Culture? If you’ve ever transferred to a new school, then the first day of a new job feels eerily familiar. Curious stares may burn a hole in your back and remembering everyone’s names will keep you on your toes. Whether you’re a new student or a new employee, we all want to comfortably belong. Luckily, onboarding helps ease any first-day anxieties for your new hire. Make company culture a centerpiece of your onboarding efforts. Call it orientation, indoctrination, or brainwashing. It doesn’t matter. As long as the newbies feel welcomed and aligned to your cause, they will successfully push your organizational efforts in the right direction. Too many companies confuse training with onboarding. Training prepares new hires for their role in your organization, onboarding helps them feel at home and connected. While training does have a role within the onboarding process, it doesn’t represent what new employees will feel, see and hear on a day-to-day basis. So, where do you start? 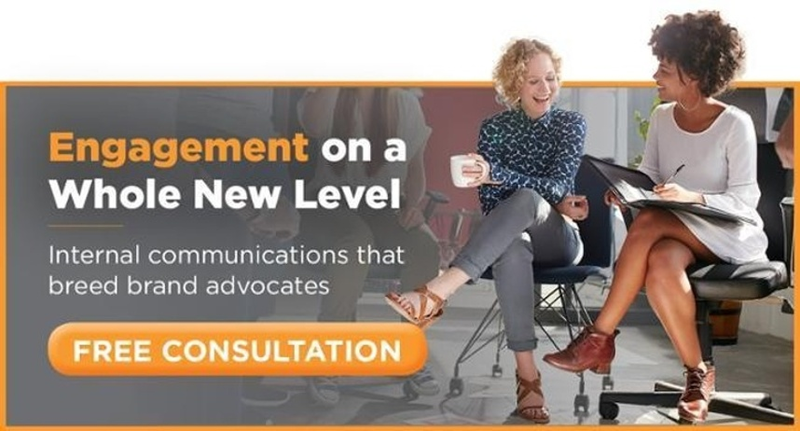 A powerhouse Engagement Council can help you build a cohesive messaging strategy to align company culture during onboarding. Would you spill every boring detail of your life during your first date? If so, don’t expect your connection to last. Of course, you want to present an honest view of company culture off the bat. Good onboarding programs educate and inform new hires about organizational practices. But don’t be afraid to reveal how your team shakes up their 9-to-5. Do you offer lunch and learns? Are employees properly recognized for their work? Is there an office camaraderie? Regardless, it doesn’t hurt to brag. This is the point where you introduce the family. When newcomers feel comfortable with their new team, it encourages open communication. Providing this sort of forum goes a long way towards fostering the kind of work environment employees thrive in. Schedule some one-on-one time between new hires and more senior workers in different departments over the course of the first month. The scaffolding of your company will align expectations with the true company vision. When 50% of employees do not find significance in their current position, this will help curb employee disengagement in the future. You either fondly remember the first date, shudder at the very thought of it or completely forget about it. If boring training modules are your first impression, then good luck with employee retention. When employees begin trickling out of your company too soon, it can negatively impact an engaged workforce. Corning Glass Works reveals that 69% of employees are more than likely to stay with their company for at least three years due to a great onboarding process. Show them what they need to know, but have fun doing it! Rather than communicating the monetary value Southwest Airlines provides to its loyal customer base, this values-driven airline company chooses to focus on why they themselves matter to the millions of people they touch. They onboard with an emphasis on helping new hires see how they can make a difference. New hires should feel confident in terms of understanding their role as well as what the company stands for. Employee onboarding that aligns with your company culture boosts engagement. When this happens your workforce will become more productive, passionate and loyal. At CPG, we create internal engagement strategies for top brands and consider the entire employee lifecycle when creating impactful ways to connect their people.